Slots Quiz - this is a test of your slots knowledge with the slot advisor. This slots quiz tests your slots playing knowledge. Can you separate myth from fact? Answer each question with YES or NO and then scroll down the page to see how well you scored. Someone hits a jackpot on a machine you just left, would you have gotten that jackpot if you hadn’t left the machine? Hot coins/cold coins are more likely to yield good returns. A slot that has not been paying for a long time is due to hit. Using a slot club card makes the machine pay less. Should you move to another slot if you don’t hit any payoffs in short order? Once a machine pays off a big amount, quit playing because it won’t pay off again for a long time. If a slot machine is advertised as 98% payback, can I expect a return of $98 for every $100 I put into the machine. Better paying machines are likely near the change booth. Machines pay more if the player plays from the credit meter rather than inserting the tokens by hand. Two identical looking slot machines sitting side by side are set for the same return percentage. Casinos reward or punish players depending on how well or how poorly they do. Slot machines produce winning combinations more often if you play maximum coins. Pulling the handle or hitting the spin button in a certain way will bring better results. Dollar and higher denomination machines pay off better. Casinos can loosen or tighten the slot machines with the flip of a switch. Slot machines have the worst odds in the the casino. Remember, answer the questions before you read the answers. Sneaking a peek to pass the slots quiz is NOT going to help you! You can always read our How to win at slots pages to help. 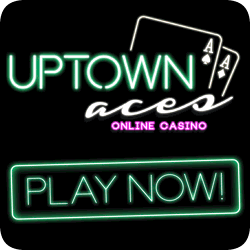 Ready to take on a great online casino! No slot myths required! All the best and most recent games on offer here from RealTime Gaming! These real series video slots offer decent winning opportunities and your host casino is Sloto’Cash, our favorite online casino! Don’t peek at the answers before you’ve decided on YES or NO for every question. NO. When you press the spin button or pull the handle, the Random Number Generator picks the combination at that millisecond. If you had stayed at the machine it is highly unlikely that you would have stopped the RNG at the exact same microsecond as the other player. NO. This theory is pure nonsense. The temperature of the coin does not matter at all. NO. Slots are never "due" to hit. Each spin is a random occurrence and has no bearing on what has happened before. NO. There is no connection between the card reader and the payout frequency or payout percentage. If you are not using your slot club card you are missing out on free meals, gifts and other offers from the casino. YES. Don’t feed a slot machine that does not pay. If you don’t get any payoff for half a dozen spins, move on. NO. Slots have no memory, they do not keep track of what has happened previously. Results are totally random, there could be two jackpots in short order and then none for a very long time. NO. Paybacks are calculated over the long term, meaning hundreds of thousands of spins. In the short term anything can happen. During the time you would take to play $100 through a machine, the payback could be a lot more or a lot less than the advertised percentage. YES. Casinos place loose machines where many players congregate. The theory being that if players see lots of payouts, it will entice them to keep playing longer. NO. The Random Number Generator inside the machine doesn’t care a whether you play coins or credits. The method of how you bet your money has no bearing on where the reels stop. NO. One is most likely set for a higher return than the other. If your machine is tight it’s a good idea to switch to the other. NO. Casino bosses do not have a way to instantly change the payout characteristics of a slot machine. NO. The number of coins bet has nothing to do with how frequently payoffs occur. NO. The Random Number Generator inside the machines does not care how the spin is activated. YES. On average, Dollar slots return a slightly higher percentage, the reason being that dollar slots generate profits faster for the casino. NO. All slot machines have a computer chip in them that determines the pay back percentage. These are preset at the factory to the casinos specifications and can only be changed by physically replacing the chip in each machine. NO. Some slots pay out up to 99%, which is much better than the odds on Keno, Big Six, Roulette and some Craps bets. How did you do? Are you a slots pro, intermediate or novice?